This property has just been upgraded with new carpet, a new sectional sofa with queen sleeper, coffee table, and dining table. 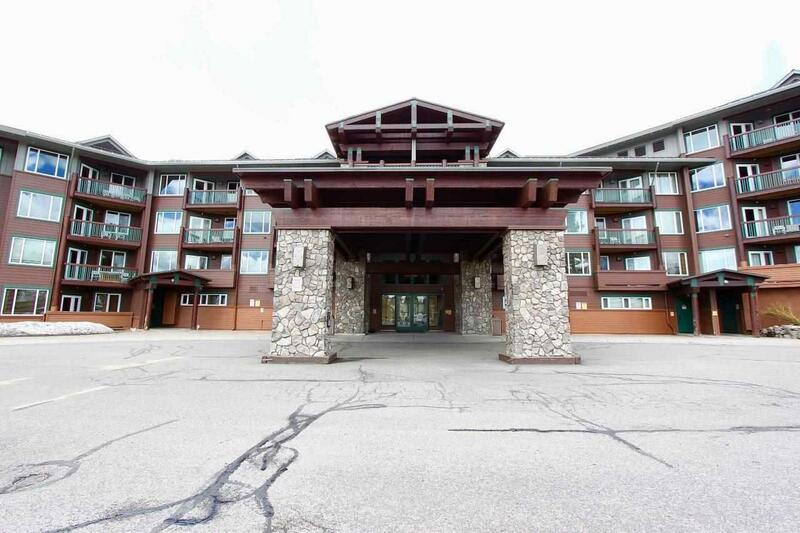 Ski-in and ski-out with this fantastic 5th Floor, 2-bedroom, 2-bathroom Juniper Springs Lodge condominium. Big east facing views looking out towards the Glass Mountains, the White Mountains, and down valley with a clear shot of Laurel Mountain. Located right at the base of Chair 15 and Eagle Lodge. Mammoth Mountain has the Eagle Lodge area poised for redevelopment in the upcoming years, with plans to turn it into a more elaborate skiing base lodge facility. The JSL complex has great amenities including a year-round heated pool, multiple spas, a fitness center, BBQs, underground parking, laundry facilities, a coffee shop, ski storage lockers, and more! No more fighting for parking spaces on those powder days; just wake up, grab your morning coffee, walk out the door, and click into your skis or strap into your boots and go! This is the ideal mountain get-away for an individual, couple, or small family who is looking for a great location, full amenities, and the convenience of being right at the slopes. Call your local real estate agent today for more information! Listing provided courtesy of Eric Leach of Resort Property Realty, Inc..